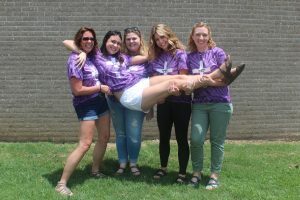 From junior high through college, there are plenty of opportunities to connect with fellow youth and nurture your faith journey. Share hopes, find passions, and have fun! Get the latest news and photos through our Facebook group. From paintball to workcamp, there is always something fun going on. A full listing of events and more details are available on our Cross & Crown events calendar!